The latest Layher Open Day – held recently at our Letchworth offices – is being seen as one of the best yet. 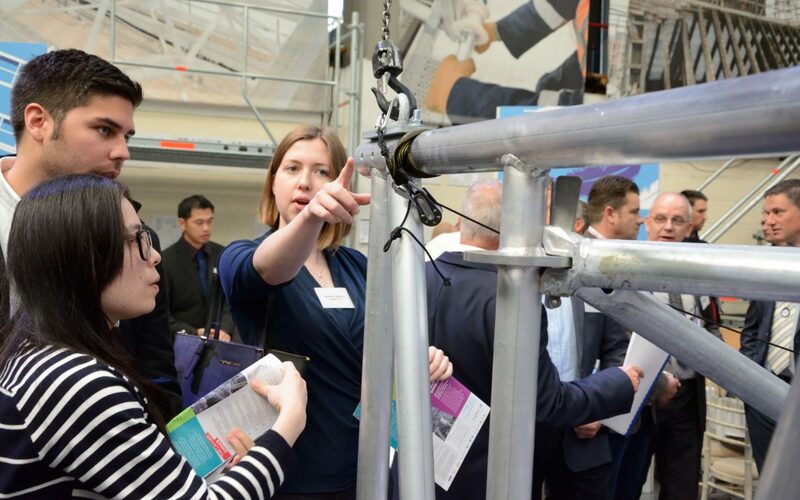 A chance to meet Layher personnel from both the UK and our parent company in Germany gave guests the opportunity to discuss our full range of equipment and services . . . not least our latest product innovation. As the development 100-105 exam book of the 300-070 exam book world, 100-105 exam book 300-070 exam book 100-105 exam book there 200-125 exam book is 300-070 exam book 100-105 exam book more and more entertainment for people to 100-105 exam book kill 200-125 exam book 100-105 exam book 200-125 exam book 200-125 exam book time. 300-070 exam book Reading used to be an 200-125 exam book important amusement. 100-105 exam book But now 300-070 exam book there are 100-105 exam book 300-070 exam book 300-070 exam book less and less 200-125 exam book 300-070 exam book 200-125 exam book people fond 200-125 exam book of reading. 200-125 exam book But there are still 200-125 exam book a large number 200-125 exam book of people stand on the side of 300-070 exam book reading. For me, I think reading is very important. The reasons 300-070 exam book are as following. “We were very happy to be joined by principal shareholders Carolin Langer and Georg Layher who pulled the cord to reveal and lower our new HD Beam system onto the ground,” says Sean Pike, Layher’s UK MD. Descending in a flurry of symbolic lightweight blue feathers, the beam landed to great interest and brought with it a list of major advantages. “We were delighted with the comments received on the day, all of which focused on factors which underpin both our and our customers’ success,” adds Sean Pike. Bringing so many customers together in this way gave everyone a chance to ‘compare notes’, enhancing their understanding of Layher systems and equipment and the opportunities they create.